miniature collection. I still ~ yes still, have not completed my dollhouse. very good point. I seem to be mini builder challenged. on my little sewing supply cabinet. I found this little desk on eBay and instantly fell in love with the color. The Bar Harbor rocker was replaced by this new pink gingham wing chair. I have a new coffee table and a new puppy named McDuff too. 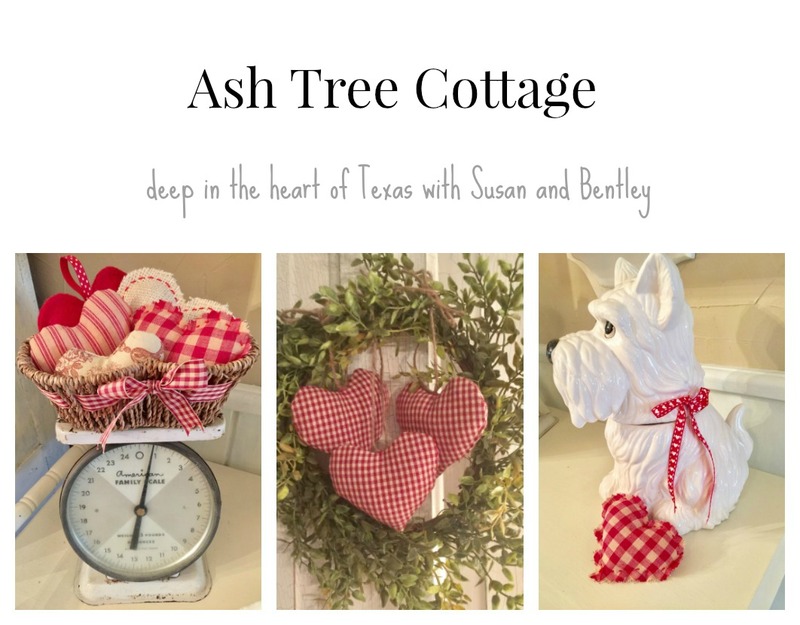 I am crazy about that little thatched cottage tea pot! Hi Susan, I enjoy your blog, but don't normally comment. I'm wondering if you've ever considered buying a house already built? I bought mine from Real Good Toys. It came ready for me to wallpaper (that I purchased separately), and it included windows, doors, crown mouldings, base mouldings, and the staircase. All of that was cut to fit, but I had to install it. I just "finished" mine, and would be happy to send you pics so you can see better what I'm talking about. I absolutely didn't have the talent, or patience, to start with a kit. Oh my goodness ... I just checked the site and the prices are STEEP! Maybe not a good option after all. Mine was less than $400. 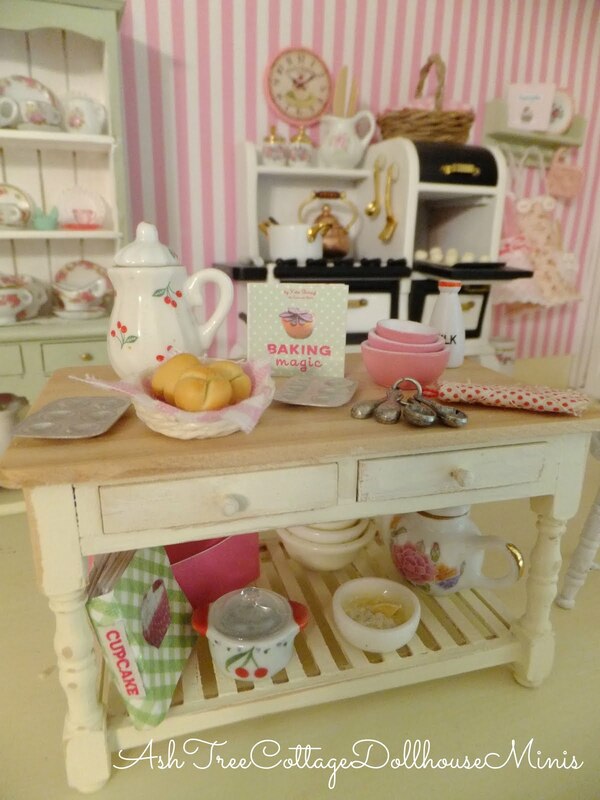 What cute displays - I like the use of minis in decorating, they seem to add just the right touch. I adore the pink striped wallpaper.